I wish you could have heard the four students who shared their testimonies of defining moments. They all did an outstanding job of ministering to their peers! Raquel, who transferred from Richland College, shared about moments leading up to answering the call to leadership, something she had never envisioned for herself–“My biggest defining moments were when I gave up.” Gave up control. Gave up on her own plan. 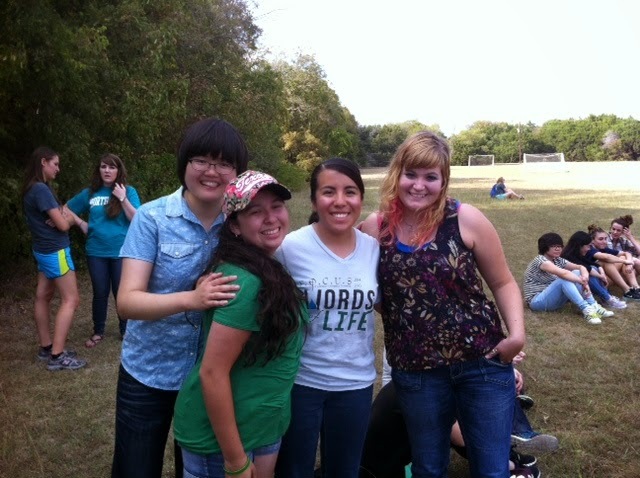 Kimberly shared about a defining moment when she asked God for friends at UTD. But He told her He would give her more than that, a Christian community that reflects the love Paul talks about in 1 Corinthians 13! She grew up not being loved and not being loving toward others, “But now I get to be a leader and love others!” Your prayers and financial investments help build this community that gives students the chance to catch the vision themselves! Kimberly and Raquel are the two in the middle. Jalen shared about growing up as a good Christian kid, but not really getting what Jesus was all about. He talked about looking down on and judging others, and about how he wanted Jesus to save him, not tell him what to do (anyone identify with that? :). But after facing his own sinfulness, he realized, “I have the capability of being obedient to Christ one small step at a time.” What a powerful message! Sometimes what Jesus asks of you may seem too big and too hard. But with His Spirit, you are able to obey one step at a time. Jalen. I'm not sure whether he made this face during his talk. Stephen reflected that what has defined him was a series of seemingly small things–deciding to attend a conference, a conversation with a friend about his purpose in college, showing up at an event. Maybe you are holding off on doing something “small” because it scares you for some reason or because you just haven't made a final decision. I encourage you to decide right now to be obedient. You never know when something small might end up being one of the defining moments of your life. If the Lord wants you to do something (this, of course, must be tested against His will already revealed in scripture), then you can know with certainty that it's good. Stephen sharing in front of the group. 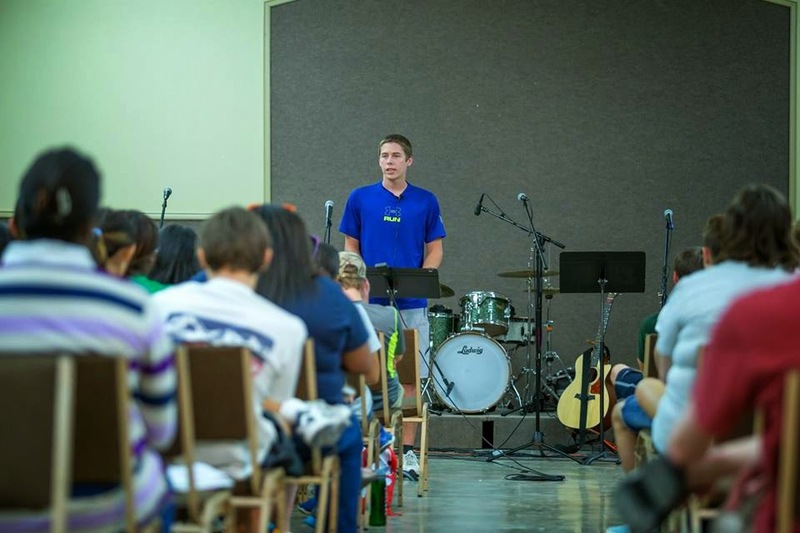 For so many students, a camp like this is a defining moment–when they make a friend or a decision that changes their life, when they hear the good news of Jesus for the first time, or when they get their first taste of real Christian community. Thank you for helping prepare these young people for the defining moments that are racing toward them. My prayer is that each of us will be purposeful in investing in young men and women. They aren't just the church of tomorrow; they're the church of today, and the world is in desperate need of men and women of God.